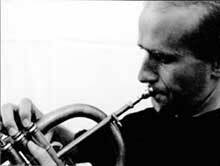 With his very impressive individual sound the Norwegian trumpeter who lives in Copenhagen, can be added to the list of charismatic compatriots such as Nils Petter Molvær and Arve Henriksen. 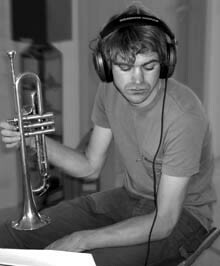 He has developed into one of the most sought after trumpeters in Denmark and he tours all over the world. He began playing the cornet at the age of 10 and went on to play jazz at 15 playing in a variety of Norwegian formations. Between 1997 and 2002 he studied at the Rhythmic Conservatory in Copenhagen. He started with piano lessons at the age of 4 and is considered to be one of the best German jazz pianists. Between 1997 and 2001 he studied at the UNIVERSITY OF MUSIC AND PERFORMING ARTS in Mannheim and received several international prizes and distinctions. Between 1998 and 2001 he played in the concert formation of the Bundesjazzorchester under the direction of Peter Herbolzheimer and south European tour. Concerts featuring Albert Mangelsdorff, Rolf Kühn, Dieter Ilg, Adrian Mears, Hans Decker, Jürgen Seefelder, Thomas Stabenow, Hazy Osterwald etc. Various cd productions with Jürgen Seefelder and Dave Liebman, Johannes Enders, Keith Copeland and Marc Abrams; Alberto Menendez, Thomas Stabenow and Sebastian Merk; Thomas Siffling Quartet; Bujazzo; L 14,16; Changes; Fritz, Münzer Tentett a.o. He is the topical jazz prizewinner of the land Baden-Wurttemberg !!! 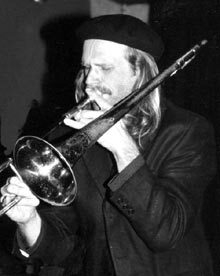 The Munich musician studied the jazz trombone at the Würzburg Conservatory under Richard Roblee. For the last 4 years he has devoted himself more and more to electronic music. His present instrument is the laptop. Apart from preproduced atmospheric sound clusters (frequently sampled and alienated everyday noises such as coffee machines or footsteps) with which he improvises on stage he also samples his fellow musicians playing at live gigs. In so doing he channels the material through various filters and programmes edits them live and then enters into a dialogue again with other band members at suitable points. Began to play the organ in the age of 4. Now he mainly plays keyboards and piano, but also claviola, melodica, mallets and percussion. Music education studies. 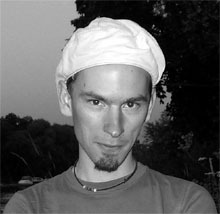 Since 1999 pianist, singer and composer of Regensburg-based nujazz band Calophain's Loft, guest musician in the folk band Lawaschkiri. Several improvisations and compositions for (dance) theatre and audio book productions as well as for many literature or art performances. 3 CD releases before his debut with his electro-acoustic project dunkelgrün. In 2005 the mainly improvised avantgarde album Nacht was released (with Michel Pilz, Burkard Kunkel and Roland H.H. Biswurm). Autodidactic singer from Munich. 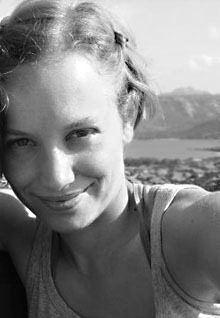 She used to play classical piano for a long time, sang in the Regensburg-based nujazz band Calophain's Loft and in classical choirs. Her former band mate Sebastian Voigts asked the psychologist to join a new music project. Saskia Geiß sings the surreal dream fragment lyrics to the weird electro-acoustic sound of dunkelgrün. started playing the violin at age 9 and switched to guitar at 15. He later studied jazz guitar at The Royal Conservatory in The Hague, Netherlands, where he graduated with a Masters Degree in 1999. 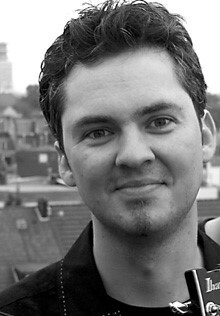 After having lived in Holland for over 8 years he moved to Oslo, Norway, where he worked as a player and composer before moving to Cologne, Germany, in 2004. Florian Zenker has played with various formations all over Europe (Germany, Holland, Belgium, Switzerland, Poland, Italy, Spain, Norway, Iceland), in Canada and Columbia, and has performed on many renowned festivals such as the North Sea Jazz Festival (Netherlands), International Jazz Festival Bogotá (Columbia), Jazzfestival Selfoss (Iceland), Ryfylke Festival (Norway), Jazzfestival Ibiza (Spain). 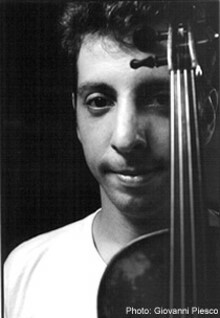 His band „Florian Zenker/ Christian Kappe 4tet“ won several major competitions between 1997 and 2000. 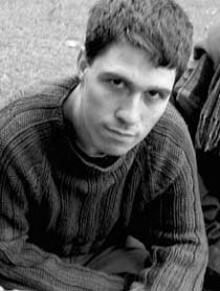 As a composer, Florian Zenker has written most of the material of the „Florian Zenker/ Christian Kappe 4tet“, contributed compositions to CD-productions of groups as Gruppen NIMBUS, Christof May’s Timequake and YEAST, and composed a major part of the repertoire of his new group „tiny tribe“. He has also written as music for TV-shows, commercials and documentaries in Norway, as well as over 70 jingles for various radio-stations in Holland, Germany and Austria. 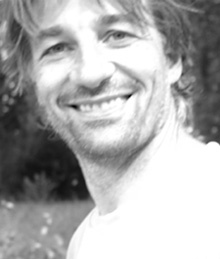 Since he moved to Cologne Florian has started writing for short films and cinema movies. Florians main instrument is the electric jazzguitar, besides that he frequently uses other guitar-related instruments such as a custom-made 11-string cittern. For many years now he has specialized in the creative and innovative use of electronic effects to get unusual sounds out of his instruments, resulting in a highly personal trademark sound. Jens Loh started playing the violin at the age of 6 years and briefly tried out guitar before discovering the double bass. He developed his unique musical language during his 8 year-long musical exile in the Netherlands, Europe´s Jazz-Mekka. Besides working with Jazz-artists as Ingrid Jensen, Ack van Rooyen, Phillip Harper, Phil Maturano and Jarmo Hoogendijk, Jens Loh is active in projects as the Thomas Siffling Trio, the “couch-ensemble” and his own band “tiny tribe”. Jens Loh has toured all over Europe, China and Southeast Asia and performed on renowned festivals as the North Sea Jazz Festival, Jazzfestival Getxo and Jazzfestival Ibiza. 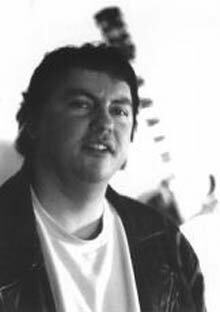 He was a steady member of the house band of the Dutch Radio 1 show “NCRV Hier en Nu Nieuwspoort” and has appeared on numerous Radio-, TV- and Filmproductions. Jens Loh has established himself as a highly sought-after bassplayer with a unique personal style and continues to perform and record Europe-wide. 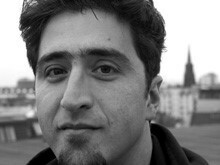 Multi-percussionist Afra Mussawisade was born in Teheran, Iran in 1973. He was first educated in Persian classical percussion by Arjang Kamkar and the Tonbak-Master Farhangfar. In 1983 he immigrated to Germany where he started to play piano and cello. Later on he studied Latin American Percussion at the Rotterdam Conservatory for Music and Dance. He attended classes with Luis Conte, Martin Verdonk, Nickey Marrero, Glen Velez and Alex Acuna. Since 1999 he continuously studied at the Conservatory of Santiago de Cuba and Havana and took private lessons with several local greats of the Cuban music scene. Always striving for new perspectives, Afra went on to study South Indian percussion at the Karnataka College Of Percussion during 2003. He has performed with numerous projects and artists including the likes of Schäl Sick Brass Band, Zuco 103, WDR Big Band, Scapino Ballet Rotterdam, Don Abi, SFEQ and Praful, just to name a few. Since 2004 Afra is touring heavily with German saxophone wizard Praful, especially in the U.S. where his single "Sigh" went on to became a No. 1 hit in the U.S. Jazz Billboard Charts. The following album "One Day Deep" went on to become a huge success in the United States. Afras´ most recent credits include live gigs and recordings with the WDR Big Band (feat. Joe Lovano), German trumpet player Christoph Titz, Violinist Oene van Geel, Barana and Co. (feat. Cello player Ernst Rijsiger) and Argentinian arranger/saxophone player Gabriel Perez. Afra translated his goal to incorporate different styles of percussion from all over the globe to his highly original and musical setup. This combined with his fluent feel has made him a much asked artist in the contemporary European music scene, both as a live playing artist and session musician. Oene van Geel (1973) studied violin (jazz) and composition / arranging at the Rotterdam Conservatory. After this he studied South Indian and contemporary music with Rafael Reina at the Amsterdam Conservatory. Whether he is playing violin, viola, percussion or composing: Oene is always integrating elements from different musical traditions into his own music. Main influences are: jazz and improvised music, funk, contemporary music, classical and ethnical music from around the world. As a band leader and sideman he is very active in the Dutch and European jazz scene. With a wide variety of groups Oene toured around Europe, Canada, the United States, India , Russia, Japan and the Dutch Antilles. His main musical activities are: The Zapp String Quartet, Osmosis (an international jazz group he co-leads with Mark Haanstra), Benoit Delbecq Unit and Pavlov. 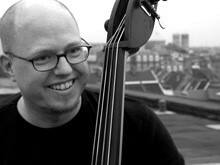 Oene van Geel was the winner of the Anderson Jazz Award 2002 at the Concertgebouw in Amsterdam, where he played with the Jazz Orchestra of the Concertgebouw. 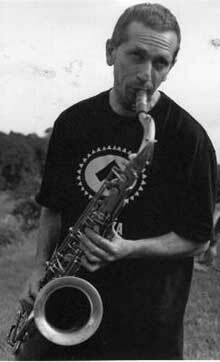 With the band 'On The Line' he won the Dutch Jazz Competition 2001, as well as the award for the best soloist. With his group 'Mosaic' he won the Jur Naessens Muziekprijs 2000. As a composer Oene writes a lot for his own bands and often has assignments for other groups. 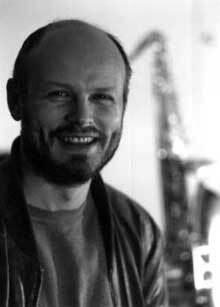 In 2002 he was awarded the composition assignment for the SJU Jazz Festival (VPRO) and the Marathon Festival (NPS). He got the composition assignment for the North Sea Jazz Festival 2005. He grew up in the rich music-scene of Oslo, and has used his artistic talent in a variety of contexts through the years, as a musician and composer. The recent years his musical output has been focused on the use of electronics and computer-manipulated sounds together with his developed instrumental skills, creating a personal style of guitarplaying, spanning from familiar guitar to subtile, manipulated sounds. 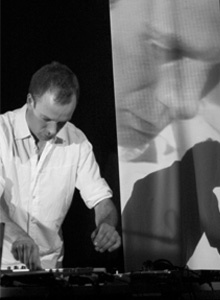 In addition to performances with electronic trio jogujo circuit, August Engkildes elektro-jazz-project EPO and his own solo-project under the name sugarghost, he has composed and performed music for poetry, theater, performance-art, film and modern dance. Educated as teacher in classical percussion 1998, and is now studying vibraphone at Rytmisk Musikkonservatorium in Copenhagen. 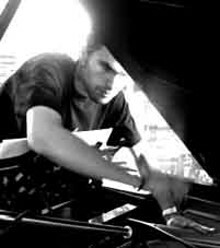 Has played in free-jazz and fusion-projects, but is mostly known for his work with DJ's like DJ Al Lindrum and DJ Schack in clubbing-scenes like Lust@Rust and LIPS. 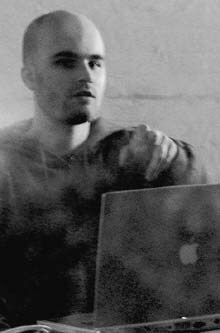 He is featured on Kresten Osgood's records, latest the IkschelTaschel-project and is currently also working in Breath, and as muscician in the band behind Carla Alexandar. After his studies in classical music he was the winner of various "Jugend musiziert"-competitions. Autodidactic jazz musician Since 1977 he has been a member of different jazz formations, from duos to Big Bands. He has taken part in active concert-, session and studioworks . He has toured widely in Europe . Concerts, projects and productions show the most diverse ranges of jazz from Blues and modern jazz to avant-garde and Ethno jazz. Autodidact, Studies in Education, Studies in Film Science in Sweden . Various live and studio projects with German and Swedish jazz musicians. Workshop activities throughout the area in music and IT. Various video projects for art and technical exhibitions and Livevideoperformances (a.o. for Böhm-Halle-Sell and Eivind Aarset). He has made several productions over the last ten years in his own studio. Lernte ab seinem 10. Lebensjahr Posaune. Machte 1990 seine ersten Jazzerfahrungen in lokalen Big Bands. Unterricht bei Roland Herter-Flöß. Workshops bei Bobby Burgess und Ray Anderson. Festes Mitglied bei der Jazz Point Big Band und dem Jazz Point Quintett. Häufige Auftritte als Gastsolist in verschiedenen Bands. Unbegleitete Soloprojekte im Zusammenhang mit Literatur und Kunst. Autodidactic multi-instrumentalist. Since 1976 he has given performances in jazz, theatre and dance. Permanent member of the groups of "Four or more Flutes", "The Mahdi Milla Rhythm ‘n' Jazz company ", "Poetry and jazz", "Gleichzeitigkeiten", "The same but different”, solo program. Composer and guitarist of the rock opera "Lissy". Toured Austria and Switzerland in 1991/92 with the “Lissy” project. Engagements at theVienna Youth Thertre, classical study period at the Conservatoire Vorarlberg. Studies in Jazz at the Frankfurt music workshop. Member of various groups, among others"Colour Change","Interface", "Living Music company". Born in 1956 in Villingen-Schwenningen , began to play the transverse flute at the age of 14. He soon gained his first experience in rock and jazz music. In 1975 he came to Austria , where in 1981 he completed his studies in classical music (flute) at the conservatoire of Bregenz/Feldkirch. At the same time he gained further training in jazz improvisation at workshops and through self-study. After his studies he concentrated on the saxophone (instruction with Leszek Zadlo) and played in many ensembles (from duos to bigbands) in Austria , Germany and Switzerland . He had several concert commitments, radiot and television productions, disk recordings and invitations to workshops.